Chengannur (Malayalam: ) is a municipality in the Alappuzha district of the state of Kerala in South India. Chengannur (also spelled Chenganoor, Chenganur, and Chengannoor) is located in the extreme eastern part of Alappuzha district. It is 117 kilometres (73 mi) north of the state capital Thiruvananthapuram on the MC Road. Chengannur is a major railway hub between Thiruvananthapuram and Ernakulam. Chengannur is connected to Kollam and Kottayam by NH 220. Chengannur is noted for its Shiva Temple and its Old Syrian Church. Chengannur is also a major destination of Sabarimala pilgrims known as the Gateway of Sabarimala. Chengannurs Munsif court, which recently completed its centenary, was long the most important judicial center of the region. The cultural background of Chengannur originates from the era of Royal rule. Chengannur was a part of Vanjippuzha Principality which was under the rule of Travancore. Chengannur town is in the banks of Holy river Pamba which influenced the culture of this town. There are many "Chundan Vallam" (Snake boats) participating in Aranmula Boat Race hails from Chengannur and nearby areas. Padayani is a traditional temple art-form which is performed as part of the festival in Vadasserikkavu Devi Temple, located 2 km north of Chengannur town. Chengannur has produced several great artists. The most famous one is the famous Kathakali artist Chenganoor Raman Pillai, popularly known as "Guru Chengannur". Chengannur is famous for the craftsman who were brought by Kings of Travancore to build the temple in Sabarimala. Later generations of these craftsmen also famous for their skills and idols of many temples in Kerala are crafted by them. Mannar is a place in Chengannur Taluk which is famous for the Bronze industry. Chengannur is a major Shaiva pilgrim destination in India. 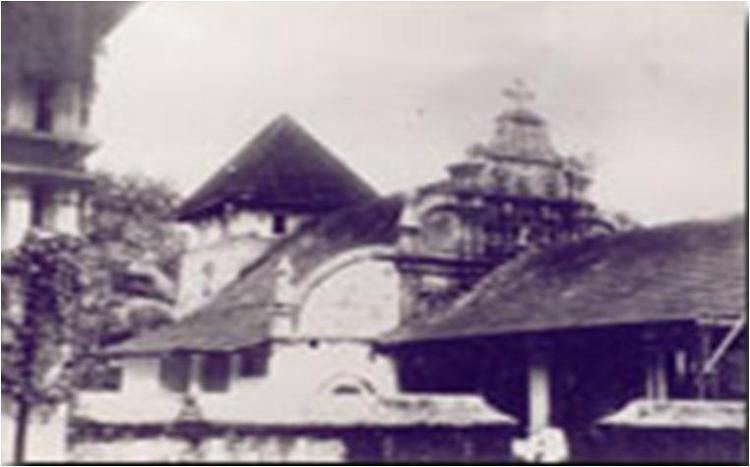 Chengannur temple is one of the 108 temples believed to be created by Parasurama. Chengannur Suriyani Church is another example for the architecture excellence of this town. It is famous for the unique architecture. There is a 33.5 feet tall Cross made from single stone is a major attraction of its Architectural beauty. 4 out of 5 major Vishu temples believed to be created by Pandavas, Thrichittattu, Puliyoor, Aranmula and Thiruvanvandoor are in and around Chengannur. These temples are major Vaishnava pilgrim destination in South India.